Do you know more than 80% real estate agents find 20% potential buyers from LinkedIn? The buyers of land and other properties are generated by using this platform. Therefore, you can’t say it an inappropriate platform for finding the real estate agents. It is suggested to create a LinkedIn account straight after introducing your real estate venture. This can help to generate more connections and bringing more buyers. Your profile picture and headline are two of the most important and most viewed elements of your profile. Consider cropping your profile picture to give profile visitors a more clear image of who you are. Consider updating your headline to give a quick overview of your background and the type of position you are seeking. Instead of ‘unemployed at currently unemployed’, you could update your headline to say ‘Experienced Real Estate Agent Seeking Position’. Adding a summary section would allow you to give an overview of your experience and explain more about types of positions that you would like.Consider attaching your resume here as well and allow recruiters and future employers to review as they view your profile. LinkedIn allows space for up to 50 skills to be listed in your skills section. 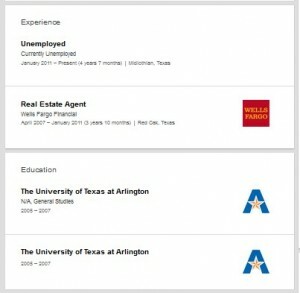 Your current profile does not have any skills listed.Having skills related to your previous positions and the position you are seeking will give your profile visitors a better understanding of your abilities. You currently have 5 connections. Adding connections, including friends, family, and former coworkers will increase your chances of your profile being viewed by companies that would be interested in hiring you. You might be also interested in our IT asset manager Linkedin profile review. For the quintessential LinkedIn profile of real estate agent, the very first thing the to win the trust of potential customers is to use your personal picture on profile. There are many people who have turned to be known as famous LinkedIn professionals because of creating best profiles. They have many connections indeed. Write everything in your own words. It is quite helpful to let others know about your way of expression in a non-verbal way. The advanced search and even search can help you in finding the people and making more connections. Join as many groups as you can. A large number of groups are best to help you in finding foremost opportunities of work. If you still haven’t published amazing posts, you are making the biggest mistake indeed. Try to write articles to impress people. You can find the people who look for real estate properties and invite them to get connect with your page. For the success in real estate’s business, it is suggested to add as many people as you can to let another know about your venture. It is also good for positive word of mouth. The use of the visual content is highly important to attract the potential buyers. Upload videos of your offers and see the difference. The custom URL of LinkedIn is important to be used for more online presence. Have You Heard What Experts Say? The real estate agents have numerous great opportunities of taking their venture to next level by using LinkedIn. Every expert real estate agent who is running the LinkedIn profile successfully. 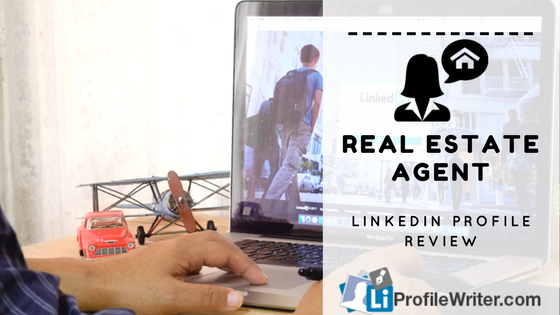 When you start creating a LinkedIn profile as real estate agent, make sure that you add a catchy and engaging headline to appeal the readers. Secondly, add more connections other than the less beneficial and useless people. If you haven’t tried these steps to review LinkedIn profile, you can’t be able to achieve the goals properly. Begin with reading the things that you’ve mentioned in each field. If there is any need of modification, then edit them on the spot. Visit the section of the summary to read major offers and discounts discussed. This can help buyers to see what’s new and updated. Don’t add any false information. This can help you in winning the trust of buyers. In this way, you can be able to generate more buyers and making more profits. Would you like to follow these shared step now?